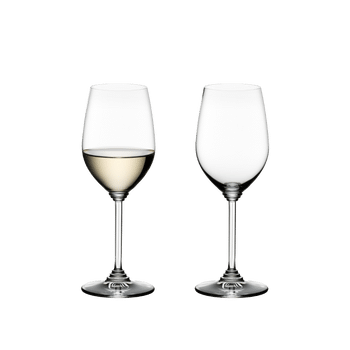 The durable machine-made Oaked Chardonnay glass of the functional glass collection Wine features a light-catching, decorative stem. The size of the bowl allows space for the rich bouquet to develop its superbly diverse range of aromas, while minimizing the risk of becoming over concentrated. This special collection was created for customers, who feel that plain stemware on a well laid table is just not decorative enought. All RIEDEL glasses are dishwasher safe.